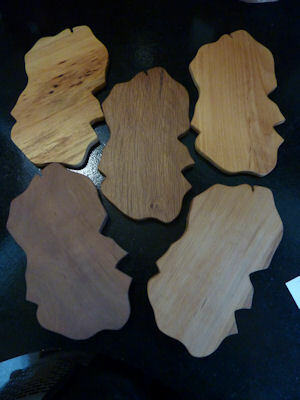 Cheese boards in the shape of the 'Isle of Arran'. Oiled finish. 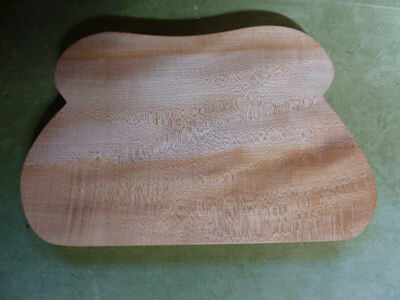 Thickness varies, 27cm x 15cm. £16. 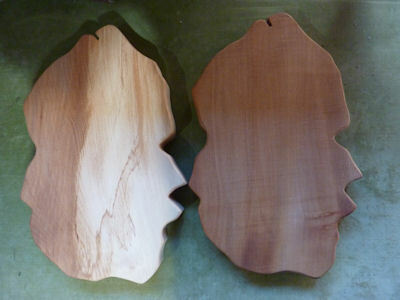 Oil finish, various sizes between 14-17cm long. Various woods and from £9.50-£12.50 each. 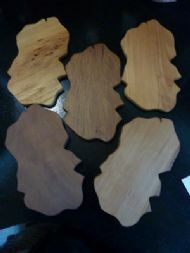 Oil finish, a talking point for the table, 34cm x 22cm, £24. 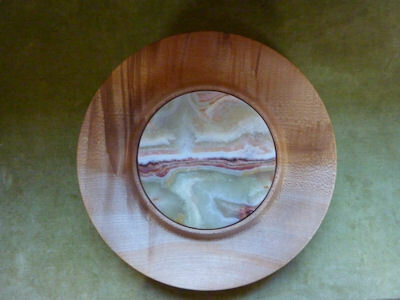 Oiled finish, wood 28cm diam, onyx 15cm diam, £33. Sycamore, oiled finish, 40cm x 25cm, £21. 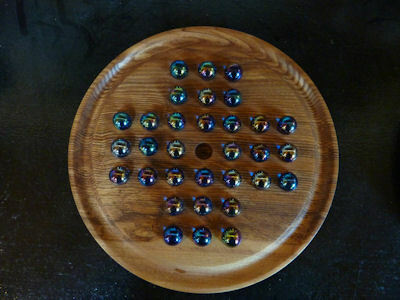 Complete with marbles, oil finish, 31cm diam, £33. 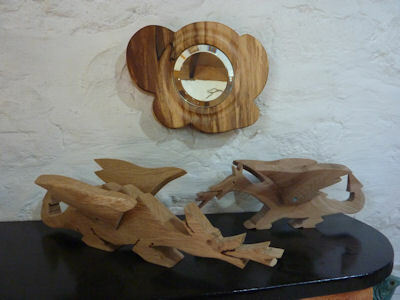 Elm dragons, oil finish, 35cm x 9cm x 12cm, £25. 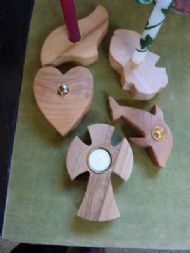 29cm x 10cm x 11cm, £24.